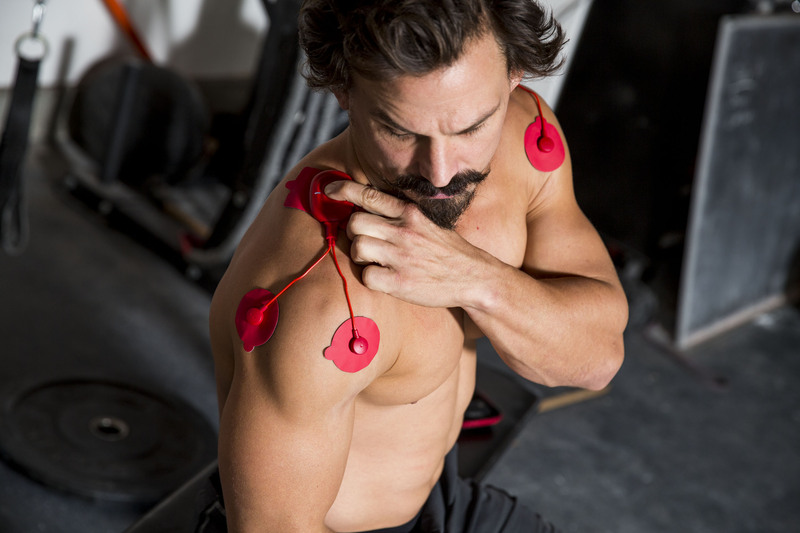 The world’s first smart muscle stimulator. Connect to the app, pair the Bluetooth pods, then select the muscle groups to target. Clinically proven, pain free, workout from everywhere – It’s that simple. Imagine having your trainer, physician, or chiropractor with you no matter where you are in the world. PowerDot’s sleek and lightweight design helps you achieve this on a level you have never experienced. Break through those stubborn plateaus in your training, flush lactic acid from your muscles post training, get and effective warm up to prevent injuries or get a stimulation that relieves you of joint or muscular pain. PowerDot uses scientifically proven, FDA-cleared neuromuscular electrical stimulation (NMES) paired with your personal iOS/Android device to deliver low-frequency electrical signals that gently contract the muscle groups you want to target. Activating your muscles with NMES gets your body’symphatic system flowing and increases blood flow to help you feel better faster. At the touch of your fingertips we give you access to 10 programs on 20+ unique body parts developed to help you perform better & recover faster!